Which is the better choice? High security locks or cameras. When it comes to keeping homes safe from intruders, the high security lock is currently en vogue. These smart locks offer the sort of protection that few could ever dream of and they are starting to serve as replacements for the security cameras that many homeowners have come to rely upon in the past. So which of these options is actually the safest? The time has come to have a closer look…. Smartphone integration is an absolute must as far as home security is concerned. This is what allows the homeowner to monitor their property even when they are not present. Security camera footage is viewed from any location. All the homeowner needs is a WiFi connection and they can simply view what is going on without having to return to the residence. High security locks function in a similar manner. They are controlled with an app and this lets the owner lock or unlock their home from a remote location. Gone are the days of realizing that a door was left unlocked and having to trek all the way back home to rectify the issue before it is too late. 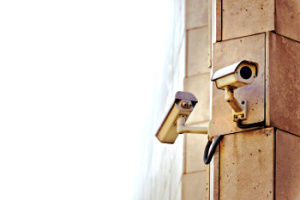 While security cameras are a wonderful addition to any home security system, high security are a better way to allow for greater levels of access. Let’s say that the homeowner is looking to allow a friend or loved one to stop by while they are gone to tend to their plants or pick up their mail. Instead of having to head to a traditional key cutter to spend money on a new key for the person who will be stopping by, high security smart locks allow for a unique code to be created for that person. This also reduces the risks that are associated with having this person lose a key. Security cameras tend to function best as an addition to a security system that has already been equipped with high security locks and the reason is a rather simple one. Technology is not infallible and it behooves the average homeowner to have as many security options as possible. Relying on just one is typically not in the best interests of anyone who is truly proactive about these matters. The methods that have already been tried and tested are best in these scenarios. There is no set answer as to which of these home protection methods is the safest. It is all about taking the time to arm the home against any possible intrusion that can take place. High security locks are a great start and they should always be paired with security cameras as well. Which is the better choice? High security locks or cameras. http://dallasfwlocksmith.com/which-is-the-better-choice-high-security-locks-or-cameras/ 4.0/5 based upon 30 reviews.